Part of the Right Tools for the Job series, comparing different platforms to work efficiently. A studio may be a place of business or simply somewhere that recording gear is setup permanently. Traditionally this is where we tend to see desktop computers used to record. A desktop PC or Mac offers lots of I/O connections and most likely card slots. These choices allow desktop machines the greatest flexibility in configuration. They tend to have faster processors, more processors, more memory, more bandwidth, and the largest amount of storage both internally and using external drives, servers, etc. For large, complicated projects with high track counts – especially if video is involved – a desktop machine tends to have the required muscle. On the other hand all of those options can leave you confused about how to get setup and solve problems. Desktop machines also tend to need cooling fans, which are noisy. While there are some low cost options for desktop computers, the really powerful ones we like to use for media production tend to cost more. The greatest strength of a desktop machine is the megahertz and terabytes per dollar. And because they are more easily connected to other hardware, they may serve our needs longer than other platforms. 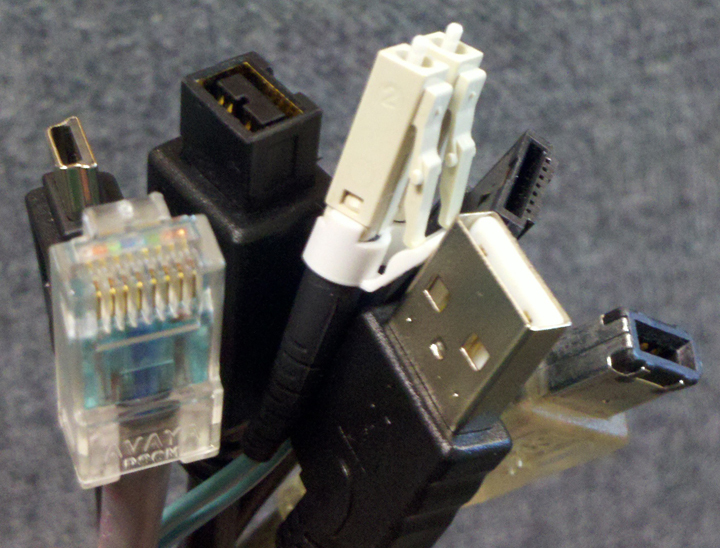 Laptops can be just as powerful as their desktop cousins, but the smaller, lighter form often means fewer connectors. Laptops are often more expensive for the same amount of horsepower as a comparable desktop. The smaller screen can slow you down on those big projects, although screen real estate is less of an issue for recording and most laptops allow you to plug in a second screen fairly easily when needed. Laptops are more difficult to modify. Some have expansion slots but they are usually proprietary — fewer choices for connecting to media production hardware. Some laptops have cooling fans, though many of the high end ones have none or relatively quiet fans, which I applaud. If you record in a studio but also need portability, a laptop is a nice mix of options. Tablets are known for their intuitive interfaces: you can get up and running quickly with fewer things to go wrong. Most apps are cheaper than what you might buy for your desktop or laptop, meaning you can get started for a lot less. If you want to get something down quickly, or you record voice auditions at home, a tablet could be a cost effective option. I’m not aware of any tablets that have a cooling fan, which helps keep them quiet. Some of the newer tablets offer as many connectors as a laptop, but the trend has been far fewer. That limits your ability to connect better microphones than what’s built-in. It also makes it difficult to use higher quality mic preamps and analog to digital converters. Proprietary connectors further constrain your choices. Tablets are significantly underpowered, have less storage, and have lower bandwidth than laptops or desktops. One thing especially frustrating about iOS tablets is a lack of centralized file structure. For audio the best file transit seems to be syncing iTunes with a desktop or laptop via USB or iCloud. You could also collaborate via services like SoundCloud. But you can’t simply add an external drive, or drag and drop to another machine. These file management contraints seem to make tablets better suited for listening than recording. And since you may need a laptop or desktop for any heavy lifting, a tablet may not be as cost effective in the long run. A handheld device is like a miniature version of a tablet with a built-in phone. 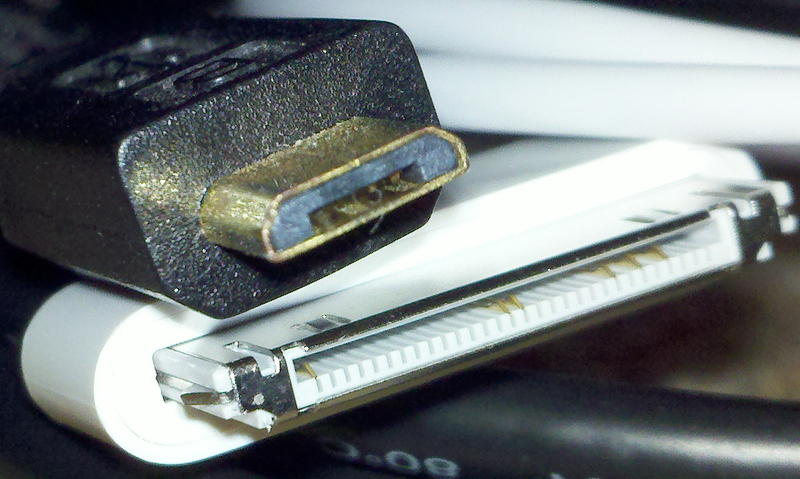 The smaller form factor further limits options for connectors and expansion. But a handheld fits in your pocket! And because it’s also your phone, chances are you’ll have it with you most of the time. The limited connectivity and considerably smaller screen do not make a handheld nearly as attractive for a centerpiece of your recording studio. 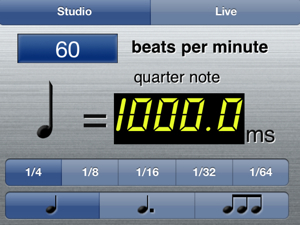 As with a tablet, a handheld could be great for recording something quickly, like a song idea or audition. It’s very important to mention that both tablets and handhelds make great side-kicks in the recording studio. From ordinary tasks — like making a phone call or reading an email — to more studio specific tasks — like Bobby Owsinski’s delay calculator app or documenting your gear settings with a photo — tablets and handhelds can make a critical difference in productivity at a dedicated studio. Top notch voice actors will often bring their own reference for matching (sound-alike). A handheld is great for carrying around reference audio. I love mobile devices for the conveniences they offer, but I’m far more inclined to record with a desktop or laptop given their price to performance ratio, especially when I consider time. Tablets and handhelds do provide a less complicated path for basic tasks. My recording needs so frequently exceed basic that I’m going to need a desktop or laptop either way, so I lean toward them. In studio I like the greater flexibility and horsepower of a desktop. Which do you prefer for studio recording? Why? Read more from the Right Tools for the Job series.